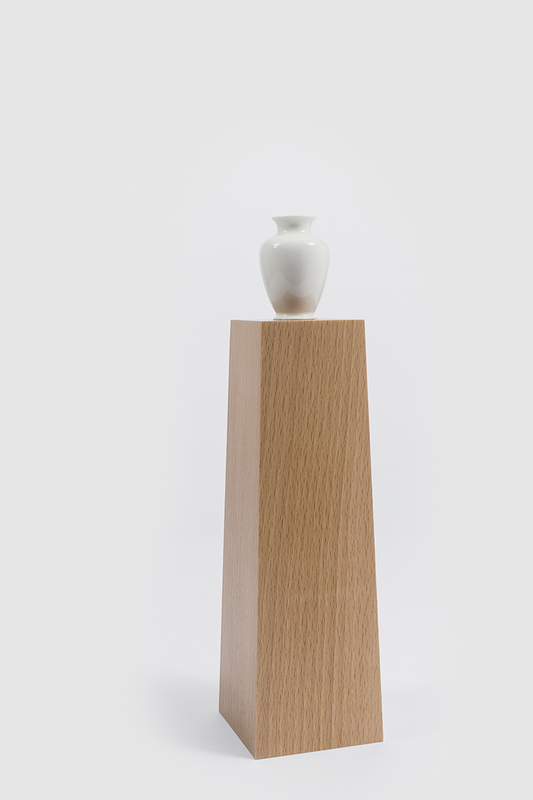 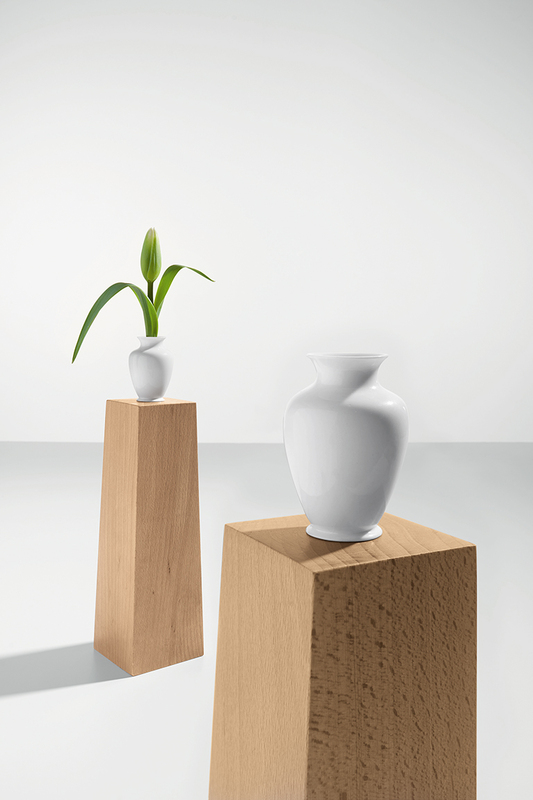 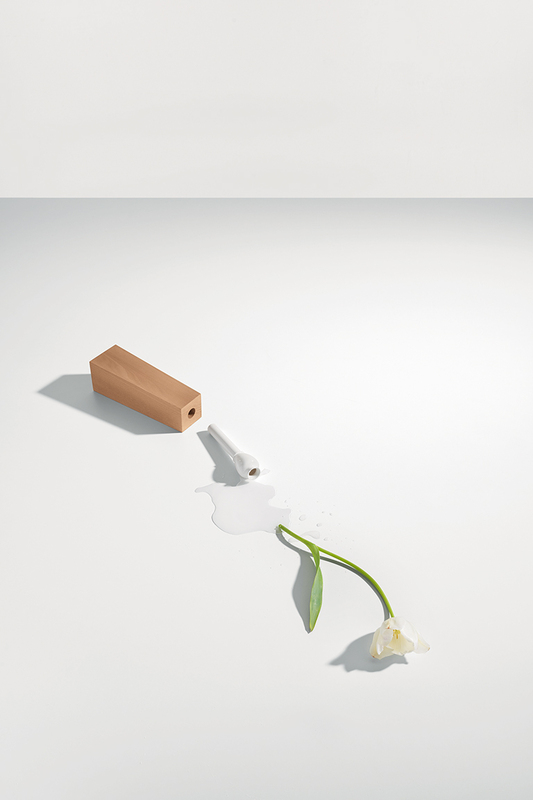 Pedestal Vase is a series of miniature vases. 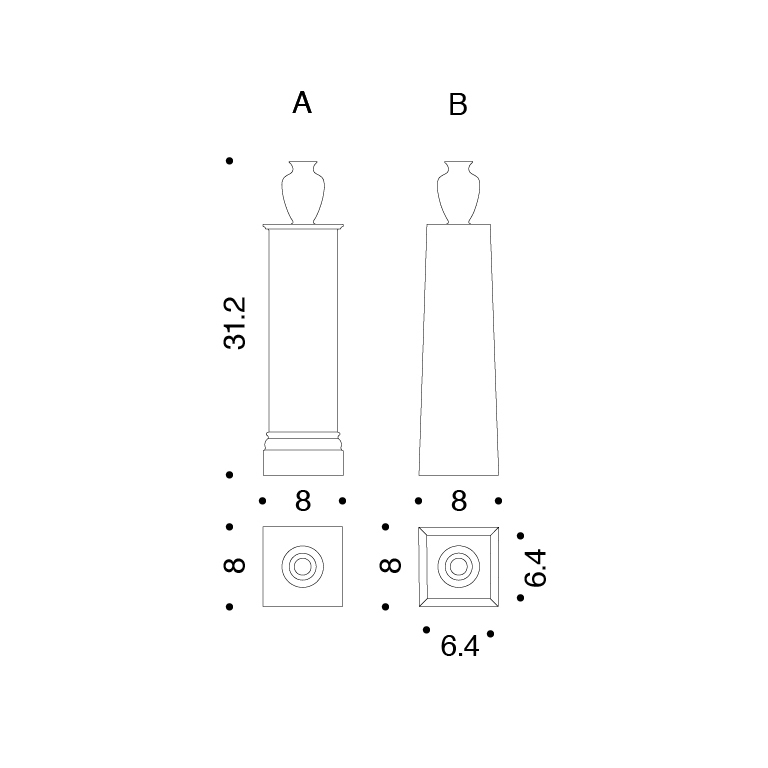 The archetypal porcelain vase is placed on a pedestal that has the double function of also containing the cylinder that holds the water. 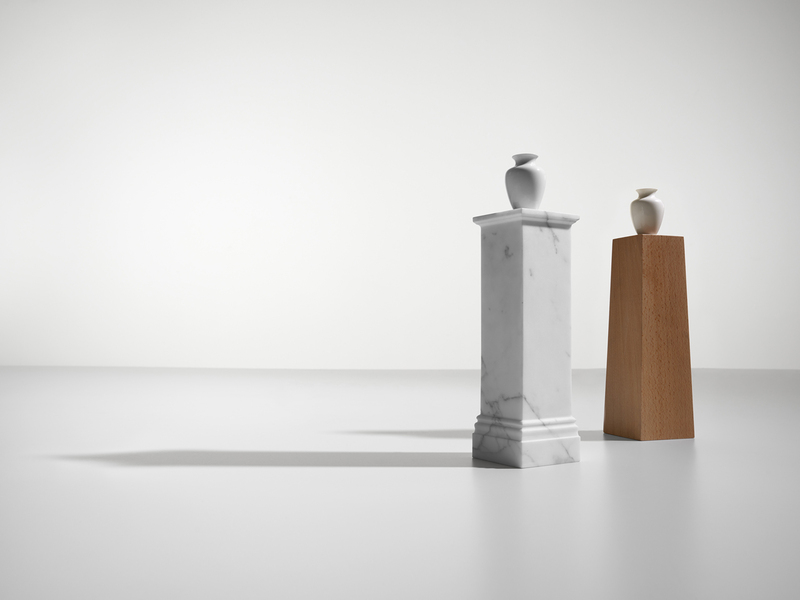 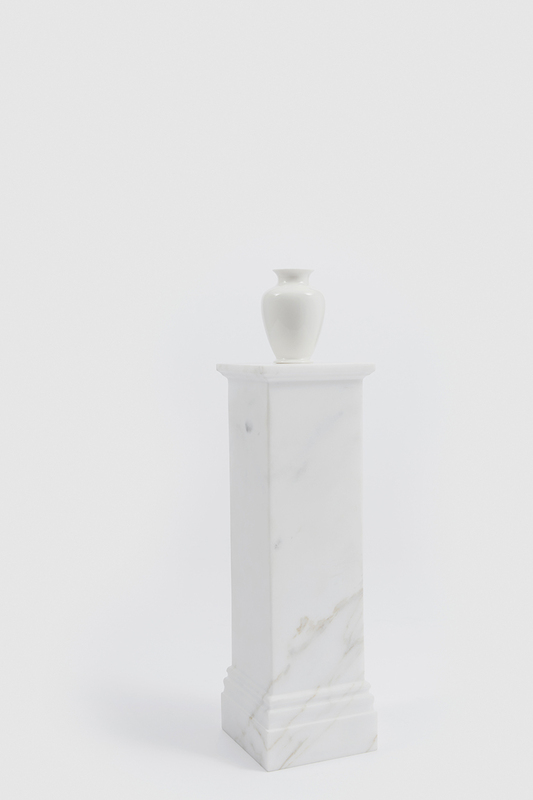 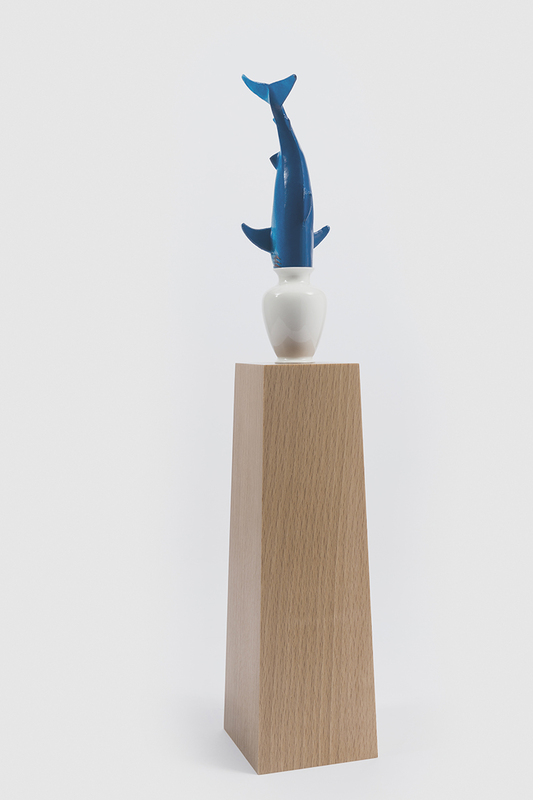 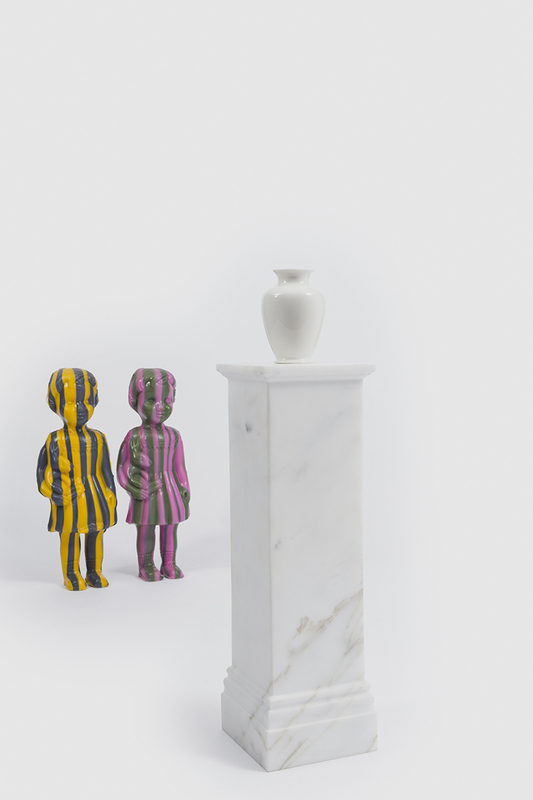 The exaggerated relationship between the base, available in either wood or marble and similar in shape to the plinths in classical sculpture, and the little porcelain vase create a hyperbolic hybrid of scale and form.